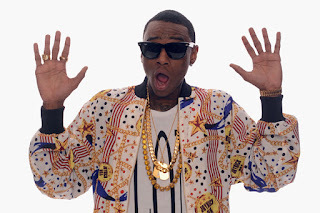 Right after the announcement of a new watch collection, Soulja Boy hits right back with his own video game Sources say. Following the release of his SouljaWatch earlier this week, Soulja Boy is now moving into the video game business. On Wednesday (Dec. 5), the No Sleep rapper launched his new SouljaGame Console and SouljaGame Handheld on his official webstore souljawatch.com. According to GameRevolution, the console boasts 800 built-in games, an HDMI cable, a connector for older televisions and a USB power cable. Meanwhile, the handheld features 3,000 games both with access to PlayStation, PC, SEGA, NeoGeo, Game Boy Advance and NES Games.